The greatest thing to me about following the lead of your children in their education, is it somehow always turns into a family event. 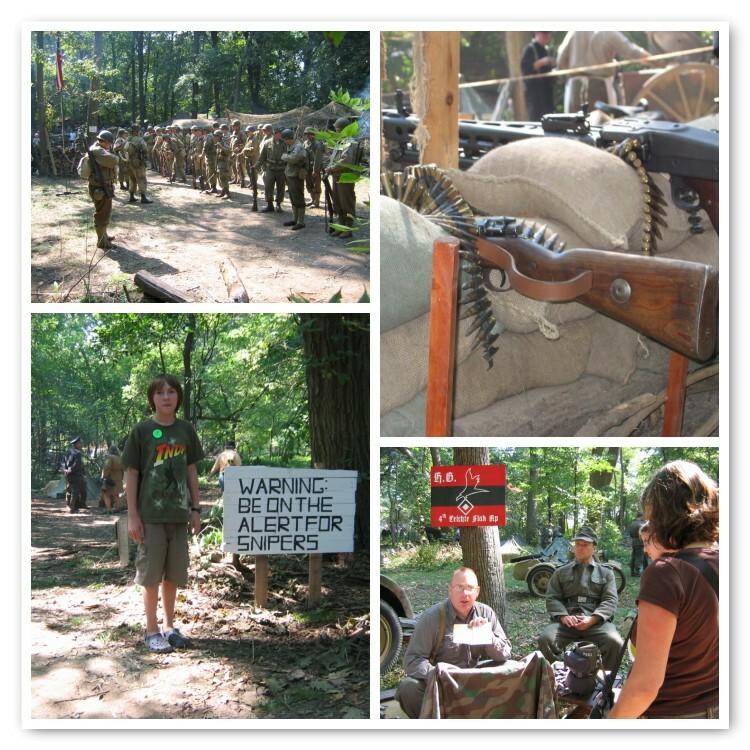 On Saturday, our family met two other unschooling families at a WWII re-enactment. 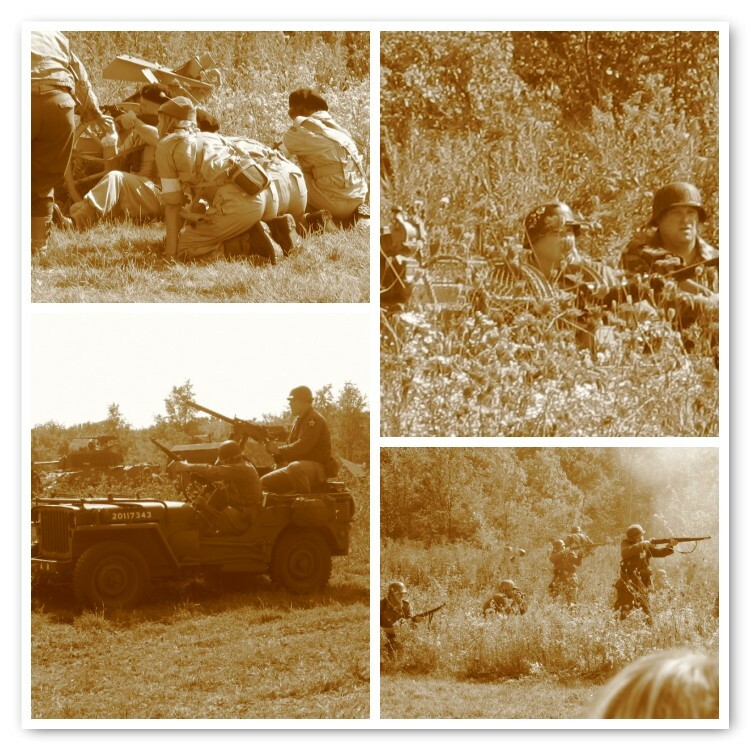 My son gets a real thrill out of learning about WWII – the weapons, the planes, the strategy, the battles, the weapons…..oops, I already mentioned that one, didn’t I? Well, it is a biggie for Alexander. 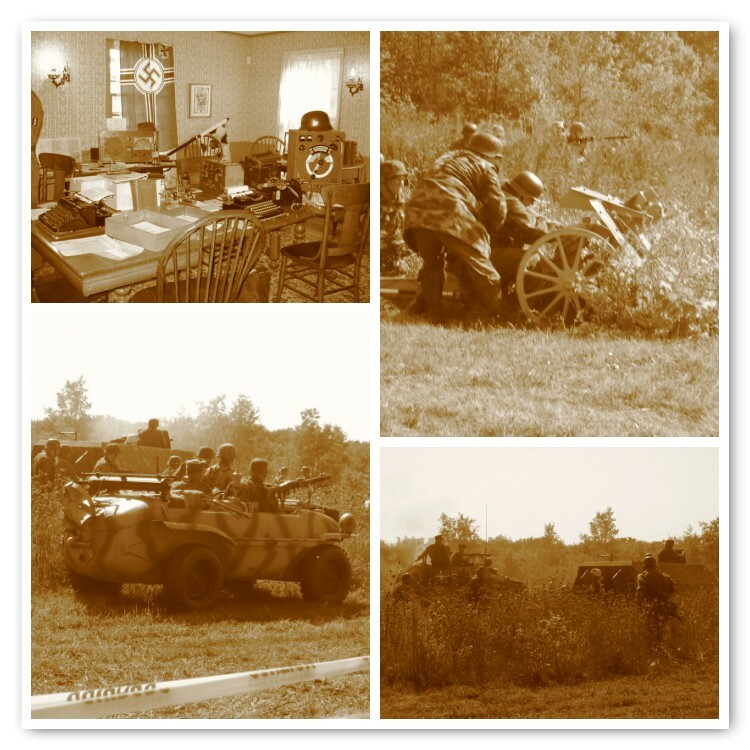 This re-enactment is one of the largest in the US. 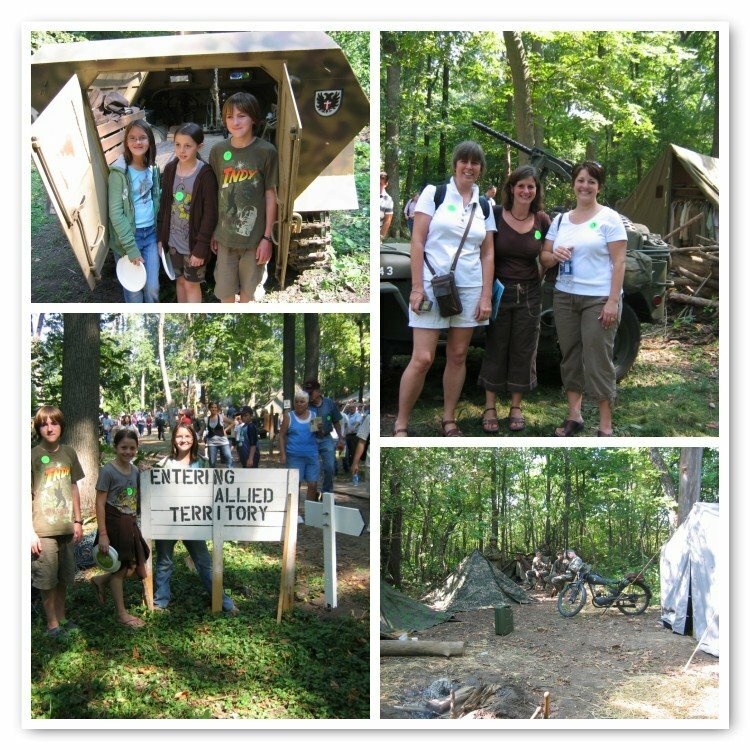 What is great is that the minute you walk onto the camp grounds, you feel like you have been replaced in war time. Everyone stays completely in character and loves talking about their area of speciality. It turned out to be an event we all enjoyed! I don’t know how you do all of that, simply inspiring!